Every person has a team, every team has a famous era, be it Luton Town's 10 year foray in the First Division in the 80s or on a more luxurious scale, Manchester City’s recent successes. These Ups and Downs are why we support our teams, the roller-coaster ride they take us on week in week out, the shouts of anger, the yelps of excitement, and the hairs on the back of your neck standing on their ends as you relive a historical moment. As a Liverpool supporter in the last few years I've started to feel the downs. Don’t get me wrong I’m not comparing it to the downfall of clubs like, Portsmouth, Plymouth and Luton who have crumbled in recent decade. But that feeling that your club isn't the best, isn't going to win every match and have to fight like dogs for the points. It’s made me question the team and how the club is run but never why I'm still supporting them. If anything’s it’s made me wonder why people support a club like Manchester United? They’re missing out on these feelings and the constant success must get… well, boring. Being a younger Liverpool fan I missed out on the golden generation, the team of the early 80’s! Sure I've seen some great Liverpool teams, the 2001 team. The 2009 team and arguable the weakest out of the three the 2005 Champions league team. But I never got to see my team’s most famous era! From 1976 – 84 Liverpool won, 7 League titles, 4 European Cups, 4 League cups, 5 Charity shields a UEFA Cup and a European Super Cup. Winning the double in 1977 and 1984. These Stats can only really be replicated these days by the current might of Barcelona and they're still quite a few trophies behind. So the question I ask is… is that the greatest team ever? 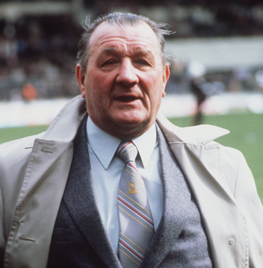 A great team needs a great manager and Bob Paisley was that, arguable one of the greatest British managers of all time, certainly up there with Shankly, Ferguson, Clough and Busby. He was very hesitant in taking the manager’s role at Liverpool, telling the players that he only took the job under duress, and that it would only be a part time role. He had a terrible media attitude and didn't have the style of Mourinho and the Bullish nature of Ferguson that we see week in week out. This image was projected in moments such as signing Liverpool player and Match of the Day pundit Mark Lawrenson which he turned up to in a cardigan and slippers. He was known for putting pressure on oppositions younger players who were entering the media spotlight, thus causing them to wilt under the bright lights of the popularity, sometimes believing the own hype about themselves. Very rarely did they perform when it came to playing Paisleys Liverpool. He also got the best out of his own players, such as Ian Rush. In a well-documented and very heated argument between the pair, Rush exclaimed that he couldn't score goals as a young player in the reserves. Prompting a typical Paisley reaction “As a centre forward, your main job in the team is to score goals. But you haven’t scored a single goal for us yet. That’s why you’re not playing.” Rush stormed out telling Paisley to “Stick his club”. The on pitch reaction was incredible, Rush scored his first Liverpool goal a few weeks later and didn't stop, Scoring 229 league goals in 469 caps at Liverpool in two spells. This compared to the 25 goals he scored in 133 caps for other clubs a remarkable difference and a great example by Paisley of man management. The team featured names that are still known by most young Liverpool fans today (Hopefully not just for their television work) Hansen, Dalglish, Souness , Hughes, Toshack, Keegan, Clemence, Kennedy and Rush to name a small few, they knew their plan to the very specific detail. Paisley was a massive fan of counter attacking football which saw goals coming from various avenues in the team as proven by Kennedy getting 20 goals from Left Back and Hughes with 35 goals from centre half. 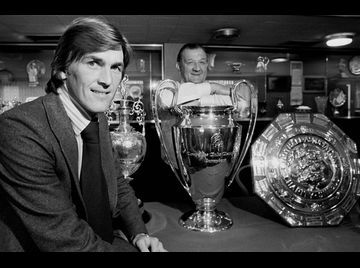 Dalglish, Toshack, Keegan and Rush bagged a total of 421 goals between them in Liverpool shirts most of which were under the guidance of Paisley. I never got to watch this team play, and that makes me quite jealous. I could never answer the unanswerable question of whether this truly was the greatest team ever, I know for a fact it’s up there and anyone who watched the team play will answer yes without hesitation. In my life time I've only seen 3 or 4 great teams, my favourite, the style and tiki taka football with the fire-power and individual skill of Messi at Barcelona. This tops anything I have ever witnessed and I question whether it’ll be topped in my lifetime. But would it have beaten the tough defence and lethal attacking nature of Paisleys record breaking reds, we’ll never know.